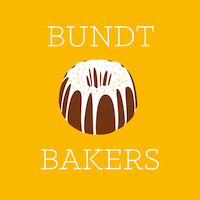 For this month, #BundtBakers were assigned to create a bundt with a hidden surprise. With Spring in full swing, I was excited to try a dessert with one of my favorite herbs- basil. The result was beautiful. It was fresh and savory, pairing wonderfully with the sweet blueberries. Our fabulous host this month is Anshie from Spiced Roots. Due to time constraints we were unable to post on Thursday, but we are still thrilled to be a part of such an amazing group and take part in this month’s celebration. In a bowl combine the sugar, eggs, buttermilk and vegetable shortening and mix with a hand mixer. In a separate bowl combine all of the dry ingredients; add the wet ingredients to the dry and blend. Combine the above ingredients for the berry mixture. Butter a bundt pan and pour half of the cake batter in the pan. Pour the berry mixture over the cake batter and then finish by pouring the other half of the batter over the berries. Sprinkle the top of the cake with sugar if desired. Bake approximately 55 - 60 minutes or until the toothpick test comes out clean. Allow the cake to cool on a rack about 15 minutes before removing from the pan. Yum! I used to make bundt cakes all the time back in the seventies. Don;t know why I quit! I made a green pistachio cake. This looks wonderful! 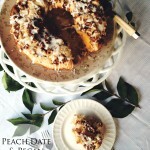 Looks delicious and I love the savoury take on the bundt. Great photos too! This sounds wonderful Catherine. I have never actually made 'bundt' I really do need to get myself a tin and give it a try...your recipe also reminded me I haven't bought any basil seed yet...something to add to the shopping list for this week!! That looks simply gorgeous. Thank you for joining in this month and making this truly wonderful Treat. What a superb bundt cake. It looks really good! This is a beautiful cake! I love that you paired blueberries with fresh basil! Sounds delicious who would have thought to add basil. Lovely idea! 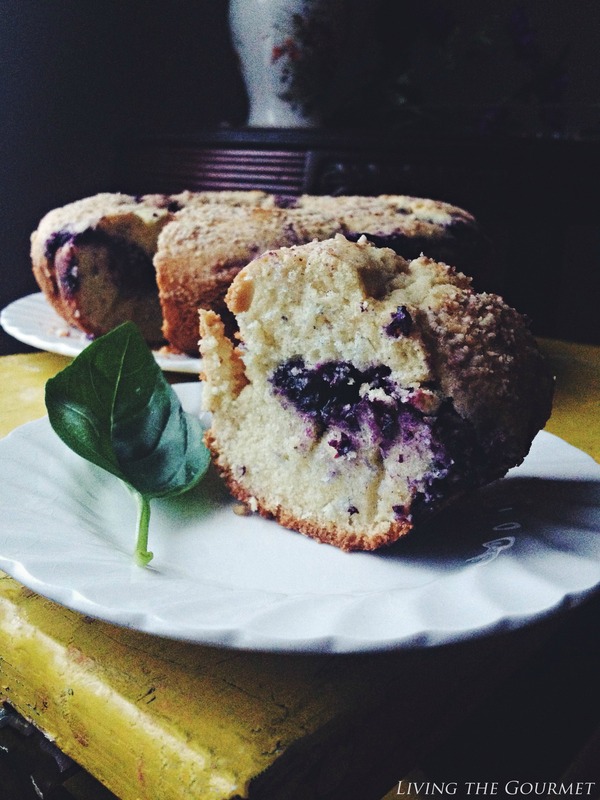 wow, I'm trying to imagine the basil/blueberry combination in my head, but it's so hard! I need to make it to try it! Your photos are so enticing, too! Lovely cake! 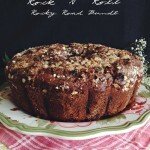 This is such a beautiful bundt cake! I've never paired blueberry and basil before, the flavours must have been phenomenal. Beautiful photos of the cake too! Oh my, this looks amazing! I've never baked with herbs before so this has me very intrigued and I've got some blueberries in the freezer. I'll definitely be trying this, such a gorgeous cake! 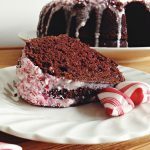 I can recall the titillating thrill from eating mom's first bundt cake, which involved some cooking sherry in the middle so that the cake could absorb the vapors. We were good Southern Baptists being taught that even drinking just one beer would surely send a person straight to Hell, you see. Just beautiful! And your pictures are gorgeous too! I am all over this one - one of my all time favorite ingredients. I am going to copy! Thanks. Wow! What a beautiful cake! Love the extra herby flavor from the Basil! Interesting! I would have never thought to add basil, but now I'm going to have to try it! This looks soooo amazing! I love that you used basil with the blueberries. I haven't tried it yet, but I have an idea in mind for a strawberry basil layer cake that I want to make for my birthday next month. I hope it works out as well as this cake did- it looks delicious AND beautiful! Your cake is lovely! 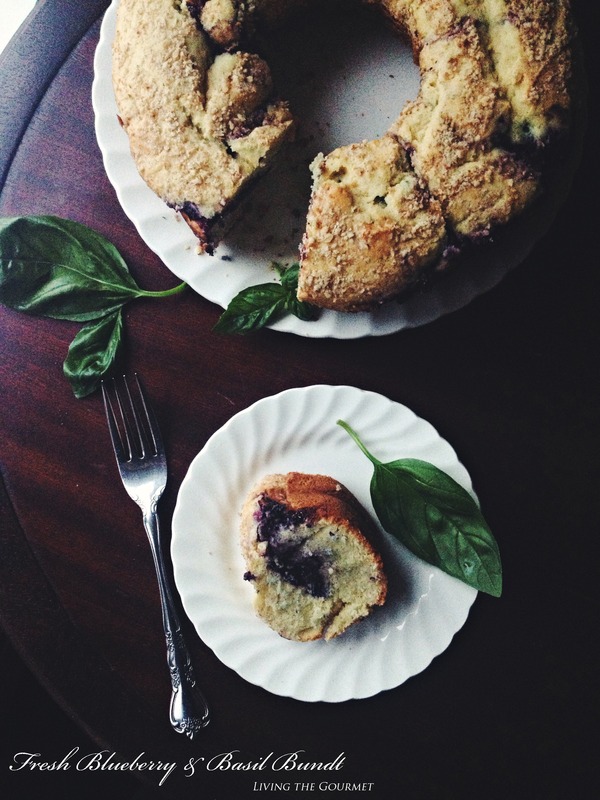 And I just love the combo of basil & blueberry - delicious! 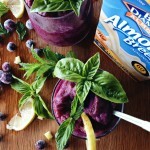 Love the blueberry and the basil together! Delicious!